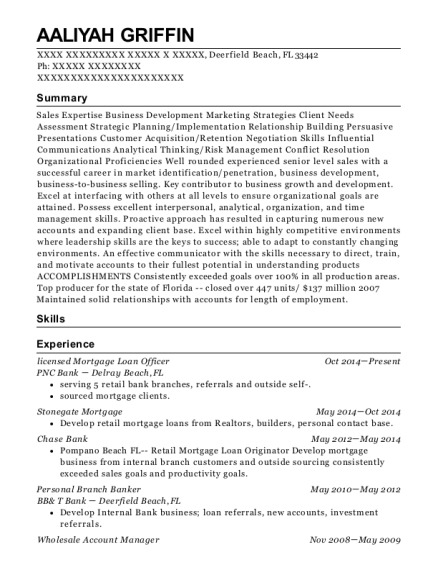 I am a client service oriented loan officer with a solid history of achievement in loan origination. What makes me successful is my work ethic coupled with strong organizational and communication skills. This is undoubtedly why I have been able to succeed in the industry and become a leader of the most prestigious branch of the United States military. Analyze applicants' financial status, credit, and property evaluations to determine feasibility of originating loans. Compile necessary supporting documentation and application documents to get loans into process. Be the main point of contact for origination and provide a high level of client service throughout the entire process. 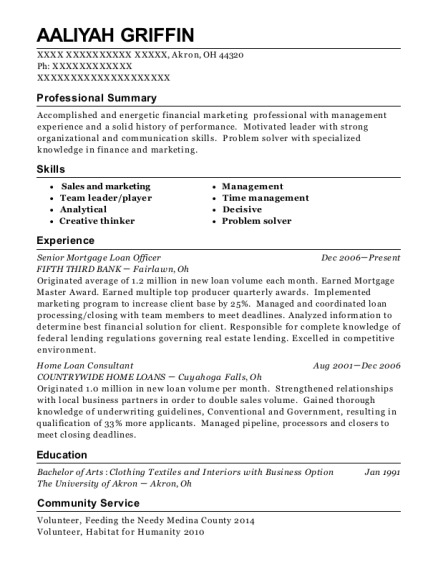 This is a resume for a Mortgage Loan Officer in Lakewood, Ohio with experience working for such companies as Quicken Loans and United States Marine Corps. 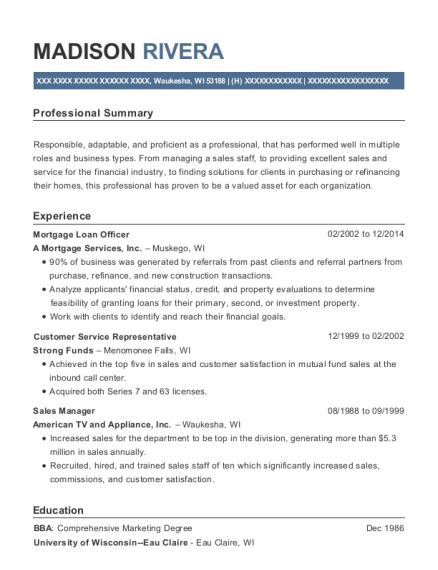 The grade for this resume is 0 and is one of hundreds of Mortgage Loan Officer resumes available on our site for free. 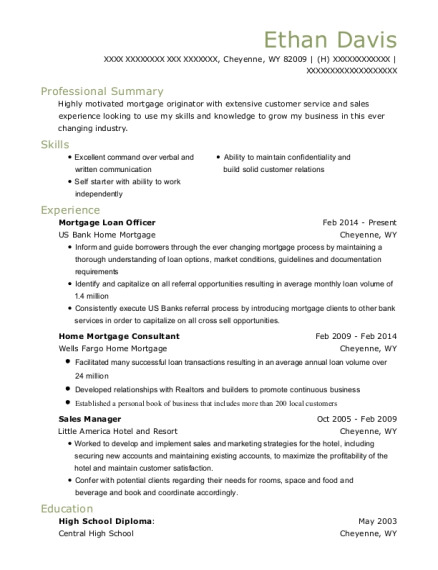 Use these resumes as templates to get help creating the best Mortgage Loan Officer resume.